If you have read ‘Of Fries And Is It Worth It?’, you would remember that I have been wondering whether or not a guy was worth it. Anyway, tonight I got my answer. It’s actually the answer I knew all along. I just couldn’t bring myself to admit it. There are still some unanswered questions in my mind though, like..
Why can’t I pull myself away? Why do I keep trying to hold on to something that was never real? Why do I keep making excuses for him? Why do I keep apologizing when I have done nothing wrong? Why do I allow myself to be treated in such a way? Why do I keep hoping he would change? Maybe one day I’ll be able to answer those questions. But for now, as hard as it’s going to be, it’s time to let go. I’d like to leave you with some very true and wise words which really helped open my eyes. Next Next post: Of Fries and Will the Scorpion Sting? holy crap! every word of this rings so true in my world. just so crazy. i’m sorry it didn’t turn out to be fries this time. thank God there are other “places” that do serve “fries” and more opportunities in which to get them. 🙂 i hate those enduring questions… i still ask myself very similar questions even now and itdrives me nuts because i know better. it’s not worth the effort put into asking those questions but i struggle with letting go, but i’m trying darn it. love those parting words – very wise. I’m sorry to hear you are going through the same thing, but also comforting to know I’m not alone in this 🙂 and you’re right there are plenty of fries in world 😉 thanks so much for leaving a comment! I’m so sorry you’re going through this. I know exactly how you feel. I’m on the same boat (still)… kind of scared to let go. Ugh. Let’s just meet up & eat fries together. Of all the words of fries and men, the saddest are, ‘it might have been’. 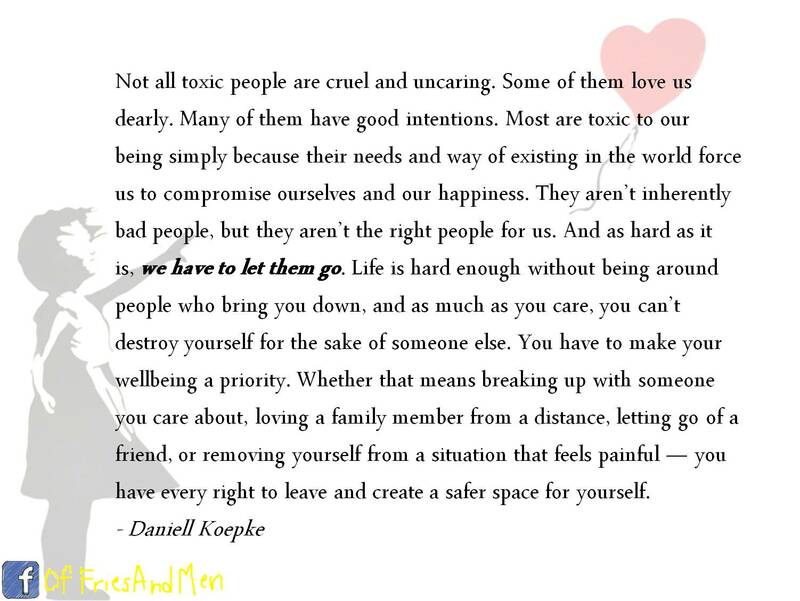 Those words written by Daniell Koepke couldn’t be more true. Why is it that we ladies always want to convince ourselves that our lives are worth giving up for a man? Totally understand your unanswered questions…but you clearly made the right decision. Glad you stopped by my site. So sorry you’re going through this but I have to say I just love your attitude and your blog!